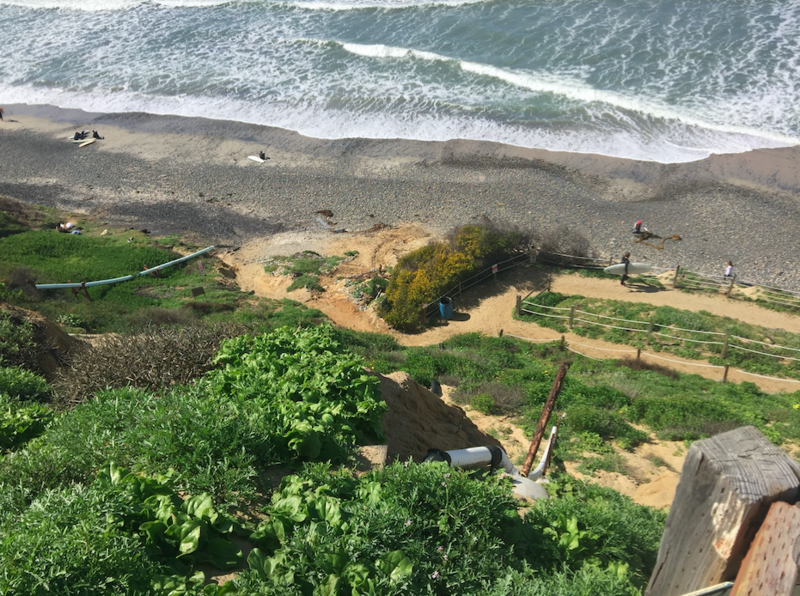 Beacon's Beach, a narrow stretch of coast in Encinitas, CA, currently has a narrow switchback trail from the parking lot down to the beach. The problem is the trail is not currently safe. It has a “factor of safety” of 1, which is not stable. Common practice requires a 1.5 factor of safety. The trail would become safer for continued use once the parking lot is reconfigured. Currently, seven parking spots are undermined and in danger of failing.